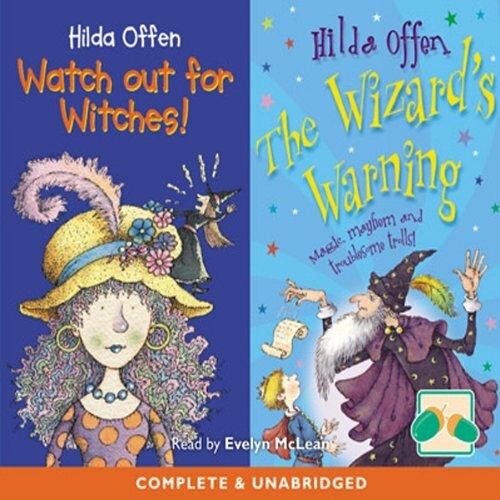 Showing results by author "Hilda Offen"
Watch out for Witches! and The Wizard's Warning! Price Pompom's in trouble! Five witches weren't asked to his christening and now they have taken their revenge. Luckily, clever Laura Jones is on the case... Poor Prince Florian! According to an old prophecy no one can be king of Little Twittleburg unless they've got a fine head of hair, and his father is getting very thin on top. Florian will have to take over, but first he will have to complete the Four Tasks-even the one about taming a dragon! Luckily his best friend Laura is there to help.